Senior sisters at Leeds NHS Trust feel neurological assessments on a children's or neonatal award following treatment, is an area which needs further attention. Neurological observations are part of assessing a child who is unwell with potential neurological compromise and identifying deterioration early. When a child is being treated on a children’s or neonatal ward, neurological assessment is often not competently performed. Senior sisters at Leeds NHS Trust feel this is an area which needs addressing to ensure the best clinical outcomes of these infants and children. Nursing staff need support and training to develop and maintain their skills. The aim of this project is that nursing staff will provide up-to-date, evidenced-based, neurological care, by ensuring that appropriate training and support is provided to all staff, so that the best clinical outcome can be achieved. A project working group was formed that included senior sisters from the paediatric critical care unit, neonatal unit, paediatric neuroscience unit and lead nurse for the North East Paediatric Neuroscience Network (NEPNN) – an operational delivery network in England. A project initiation document was created and the group met regularly. As it was not possible to deliver paediatric neurological assessment training on the mandatory study day, two key trainers from each of the children’s ward areas were identified. These staff would then get relevant neurological observation/assessment training and deliver this to the children’s nurses working in their areas. The project team took the proposed plan to the senior sister meeting for discussion. It was agreed that this was a positive way of facilitating improved neurological observation/assessment and staff development and training. The NEPNN lead nurse/nurse educator would provide a study day for the key trainers. The management team agreed to take the proposed plan forward. We identified key trainers and in October, the NEPNN and Leeds Children’s Hospital delivered two, three-hour sessions for children’s nurse key trainers in neurological assessment. The uptake was successful and the attendance was high – a total of 14 wards out of 16. There was a minimum of two trainers per area; consisting of a mixture of staff nurses, junior and senior sisters and nurse practitioners. Update study sessions for the key trainers are to be provided by the NEPNN, on a two-year cycle. Feedback from those who attended was positive – those present felt that neurosimulation scenarios should be included in update sessions. The senior sister and one of her colleagues from the paediatric and intensive care unit completed a checklist/pro forma for key trainers to use as documentation of the training delivered. The lead for each area will keep a training log of all staff trained. We asked key trainers to randomly select staff to complete competency sheets pre- and post-education, enabling the team to audit before and after training. This is a good way of monitoring effectiveness, as it would be difficult to monitor patient outcomes. Key trainers have all received a package to aid the delivery of training in their clinical area. The pack includes a PowerPoint presentation, highlighting points from training sessions, a checklist/pro forma for key trainers to use as documentation of the training delivered, an attendance certificate and an evaluation form of session delivered. It will be the ward managers’ and children’s matrons’ responsibilities to ensure there is an up-to-date staff register of the nurses’ status in their clinical area. This is a pilot project for the Leeds Children’s Hospital. If it proves successful, the NEPNN would hope to roll it out to the other two children’s hospitals in the region and district hospitals. 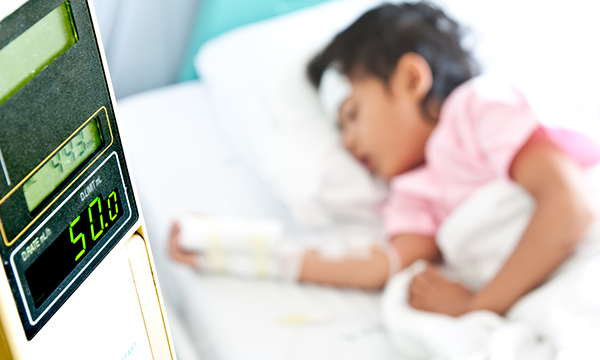 Plans include neurological observations to be recorded on the Leeds Teaching Hospitals NHS Trust's training interface, to ensure all paediatric nurses are trained and have training updates. Consultant paediatric neurologists have expressed an interest in providing a similar programme for junior doctors on six-month induction training an the trust. The project group has discussed the possibility of having a video available on how to perform paediatric neurological observations. This could provide standardised neurological observations to children and young people across the trust and wider network. Quicker recognition of the deteriorating neurological status of children and young people is paramount in ensuring that the best outcomes for these patients are achieved. We believe this model could prove successful in the future. Julia Hill is a senior sister, paediatric intensive care unit at Leeds General Infirmary, Fiona Metcalfe is a senior sister, neonatal unit, Leeds General Infirmary, and Lisa Cutsey is a lead nurse, North East Paediatric Neuroscience Network. Written for and on behalf of the RCN's Research in Child Health community.